Although I've only been a qualified approved driving instructor since 2011, I am a grade A instructor, and I am also an ORDIT (Official Register of Driving Instructor Trainers) trainer. This allows me to pass on my wealth of knowledge, passion for the job, and experience to those who not only want to learn to drive, but also those who seek to move into this industry and become an ADI. my pass rate is quite impressive, and a large number of my pupils come to me as referrals from passed pupils, which makes the job really rewarding. I decided to become an ADI because I enjoy meeting and helping new people. As I also love driving, becoming an ADI seemed the perfect job, and teaching people how to drive safely on our roads fulfils my ideals. I am also a professional nurse (RMN) with 13 years of experience. With my nursing background and experience, I do believe the everyone is a unique individual, and this has helped me to develop various training styles and method to suit the needs of my pupils, regardless of their levels of experience, skills and abilities. I encourage my pupils to believe the anyone can fulfil and achieve their potential if they believe in themselves that they can do it, and I will help them to make this happen. "I passed first time with Garry Comey after a long period lacking in confidence in driving. Not only did he teach me to pass, but he taught me to be a safe and competent driver. Garry was very patient, meticulously on time for every lesson, and very clear. I would highly recommend him." "The Instructor I had the lovely Gary. Spent time going through everything you would need to know pushing you to progress at your pace and certainly letting you know when you were not on point. This was greatly needed for myself to begin with. I found myself really enjoying learning to drive with Gary. I would recommend to anyone who wants to drive. Thank you so much Gary for the special talent you have." "My Instructor Gary was great, taught me a lot with my driving lessons in a short space of time. The instructions and hints he gave me helped me pass my driving test. I will highly recommend him to anyone looking to pass his or her test in a short space of time." 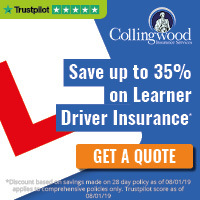 "Gary has made my driving learning experience extremely enjoyable! I have really enjoyed all of my driving lessons with him. Gary is by far the best driving instructor I've had the pleasure to learn from and when he teaches he makes you feel really calm and at ease. Gary was never late for a lesson and had never cancelled. Making him very reliable. On a more personal note I'd like to thank Gary for his time and patience and for making every lesson fun and thoroughly enjoyable." 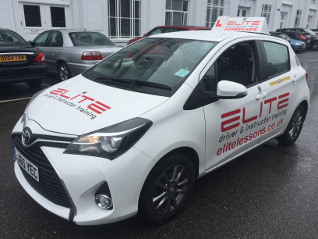 "After countless searching online for a good driving school that were within my budget in Croydon, I came across Elite, I read they have a very good reputation for passing people, so I had applied to become a student with them. 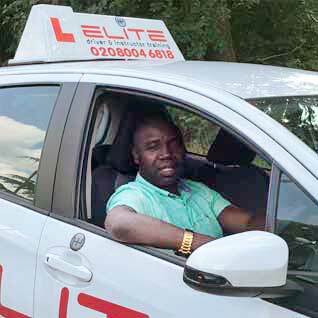 Garry Commey became my instructor and upon starting the driving lessons, his basics into the driving world were so detail, he explained the risks, the good and the bad as well as the tips and tricks on how to do certain manoeuvres. All this was within a week. I knew then this is the guy who will help me pass. Within each part of the lessons, he explained everything clearly and concise that I were able to understand fully. As the months went buy, I began doing mock tests, THIS helped me a lot, as I did lack a lot of skills in certain areas, but thanks to Garrys faith and confidence in me, I had improved on them. So much so from failing with 7-10 errors in the mock tests, at my MAIN driving test, for the first time, I had passed with only 3 minor errors all thanks to Garrys' practice mock tests. A great instructor and a great person with a lot of patience. Thanks Garry and I highly recommend this instructor to anyone." "I began learning with Elite in the summer after just turning seventeen. As an eager new learner with no driving experience I was dealt with patiently by my instructor Gary." "I was given the skills needed to pass and my instructor was also flexible allowing my lessons to work around secular employment and college." "I would definitely recommend Elite and my instructor Gary, he was kind, patient and flexible." "Garry C. Was my instruvtor and I yhank him so much for helping me pass my test yesterday. He was always punctual, carefully explained things to my understanding and really tried to instill confidence in me. I would highly recommend him and from a sincere heart I say THANK YOU MR COMMEY!!" "I had another Driving Instructor with another company before I had Garry - but as soon as I had my first lesson I fealt like I was immediately improving. I wish I’d had Garry from the start. Not only is he an amazing instructor, but he’s also just a lovely person in general and makes you feel very at ease in the car!"